This one is designed for that high floating bunker shot where you have a perfect lie. Get an alignment stick, then set up with the ball in the middle of your stance. Get the feet open and line the shaft up with the stick. You want to go straight underneath the ball to gain more height and loft on the shot. So as a drill, try a few swings imagining the alignment stick is there to stop your hands going past centre at impact. 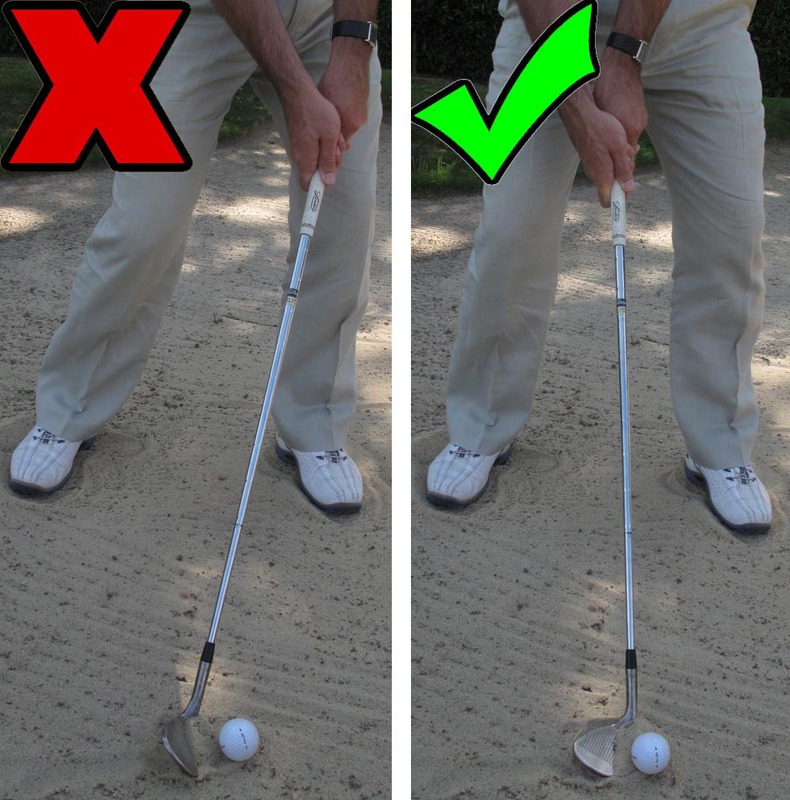 In a bunker, especially when playing the high flyer, it's wrong to have your hands as far forward at impact - as the image on the left displays - because the leading edge of the clubface will dig into the sand. Getting the club open and placing your hands just behind centre when making contact with the sand will help the clubface cut through the sand to make a nice contact.